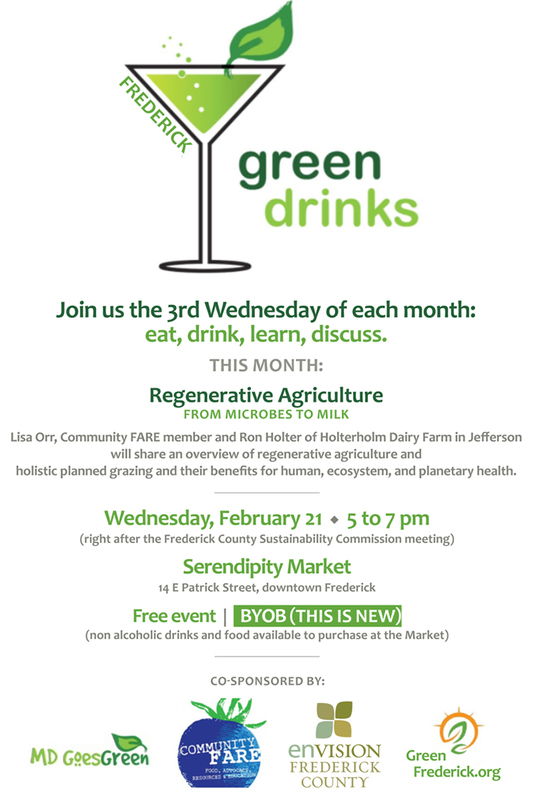 With a very enjoyable, engaging and well-attended event on January 17th, Green Drinks was relaunched in Frederick! Green Drinks is scheduled for the 3rd Wednesday of each month, each starting with a social hour, followed by a great presentation on a timely and interesting topic. 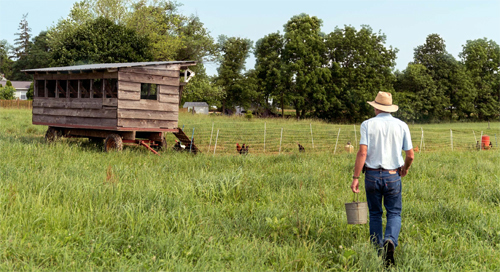 Lisa Orr, Community FARE member and Ron Holter of Holterholm Dairy Farm in Jefferson will share an overview of regenerative agriculture and holistic planned grazing and their benefits for human, ecosystem, and planetary health. Click on the flyer to open a larger version of it. Kai is the Director of Envision Frederick County.